I hope everyone had a fantastic weekend! 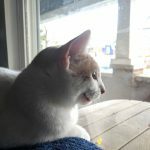 We stuck pretty close to home, because funds are tighter than tight (see the Feed a Blogger info at the bottom of the page? Check it out! ), but I DID receive some good news! Starting yesterday, I’m the new Social Media manager for a local company. If you follow me on Twitter or Facebook, you’ve seen the announcement, and I’m really excited! An added bonus about the job is that it’s very flexible, and will allow me to focus more on Geeking in Indiana over the next year! So, you’re not getting rid of us any time soon! December is traditionally a slow month, due to the plethora of holidays, but 2018 is changing all of that! December 8th: Keith Lowe @ Who North America! From 11:00 AM to 2:00 PM, Who North America in Camby is hosting local author and artist Keith Lowe, with his children’s book, Titans of Taste! December 12th: Little Guardians @ Comic Book University! It’s New Comic Book Day at CBU, and it’s the release of Little Guardian’s Vol. 2! Come, get a copy, and get it signed by the local creators, Ed Cho and Lee Cherolis! They’ll be there from 4:00 PM to 8:00 PM! These books make a great gift! December 16th: The LaffyCon Before Christmas! This will be a one-day show, so you can visit local creators and find that perfect item for your friends in time for most holiday celebrations! December 21st: Zinester Solstice Party! Celebrate the Winter Solstice, and wrap up your shopping, at Irvington Vinyl & Books! They are hosting, in conjunction with Gluestick, a laid-back gathering of local ‘zine makers. Look over locally created works, browse some vinyl records, and enjoy the atmosphere! December 29th & 30th: PopCon Fort Wayne! You survived the holiday season with your family! Reward yourself with a trip to Fort Wayne for PopCon’s foray into a non-Indianapolis show! 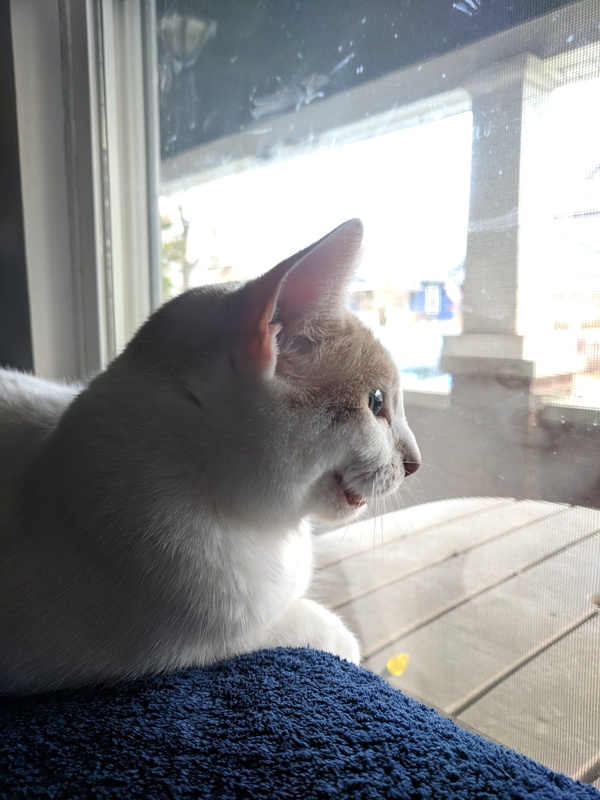 Today’s Picture: The Geek Cat, chirping at some birds on the front porch. Behind the Scenes: Plans for 2019 have started! We are still in the VERY EARLY stages of planning, but we are looking at the return of the podcast in a monthly format, more shop visits, and maybe some more! We shall see! Plus, the 2019 Convention List is up! Check it out here, on the sidebar on your desktop, or at the bottom of the page on mobile! Feed a Blogger! Are you looking to support the blog? Are you looking to help with medical bills? Do you want to help me pay rent? This link gets to to every place that you can help the blog, like buying through Amazon, buying Geeking merch, or even donating!